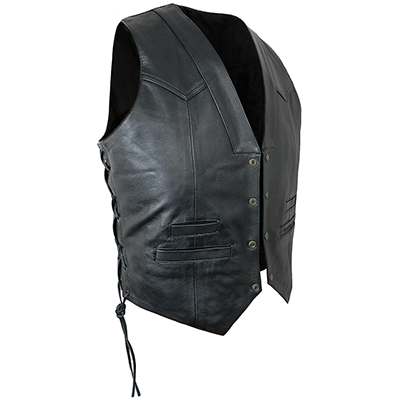 Very stylish vest with front yoke and lapel panel details. Four outer pockets. One inner pocket. Made in high quality, black cowhide. Heavy duty 100% cotton lined. 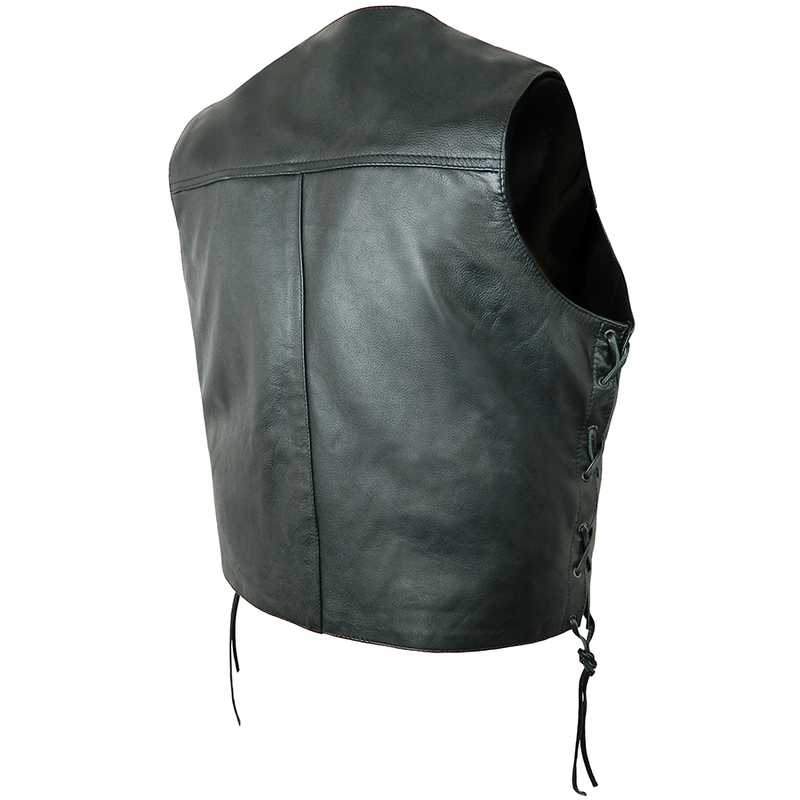 With strong cotton pocket linings.